This pendant from Posh Mommy is positively precious! 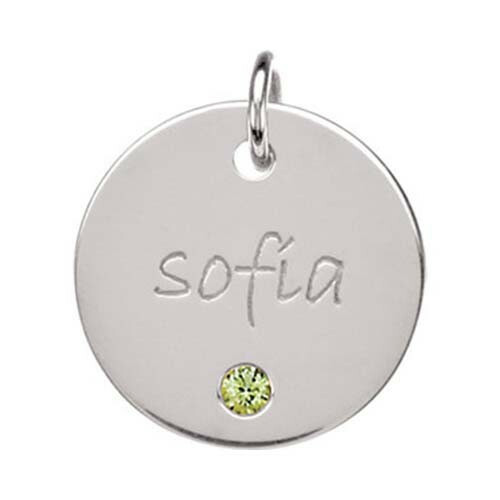 Crafted in sterling silver, it features a synthetic peridot stone atop which there's room for up to eight characters to be engraved. Make it personal, with a name or date of significance. The pendant is birthstone jewelry at its most brilliant! A chain is available for separate purchase.